The next time you’re surfing around Netflix, searching for a terrific female-led drama, you might just want to halt… and check out a little-watched show whose final season reached Netflix recently. Halt and Catch Fire is not only arguably one of the richest and most enjoyable TV dramas of the past decade, it’s also superbly relevant to the past 6-9 months of the #MeToo upheavals in the entertainment, tech and business worlds, as women began to speak up about their harassment, their disempowerment, and their determination to live and work in a world where all genders are valued equally. First, let’s flash back to 2014, when AMC was loudly promoting the show as the new “Mad Men” replacement. The story of a visionary salesman named Joe MacMillan (Lee Pace) who teamed up with a mild-mannered engineer named Gordon Clark (Scoot McNairy), his engineer wife Donna Clark (Kerry Bishé), and a hotshot female hacker named Cameron Howe (Mackenzie Davis), Halt and Catch Fire at first just seemed like a slightly tired echo on the “retro show with an antihero” formula that AMC had launched in “Mad Men,” which was winding down at the time. Season one was enjoyable and beautifully acted, but Joe, the de rigueur tortured genius as the centerpiece to the action occasionally felt a little awkward and forced, no matter how much fun the dependable Pace might be in the role. The show-as-copy even had a meta plot, as the crew tried to recreate a copy of something that already existed (an IBM PC) rather than something entirely and wholly new. However, while Halt and Catch Fire never caught fire with the viewing public or became the phenomenon that “Mad Men” had been, something even more amazing happened: The show went from good (season two), to really good (season three), to “How the hell did I miss this?” great (season four). Despite a rocky first season, Halt understood that for some people, work and life are fluid and interchangeable concepts, and that the creative impulse is the best drug in the world. Not only that, but the show seemed to listen to itself, to breathe and remain organic so that character combinations were both surprising and yet always believable, and that’s due to some consistently beautiful, subtle and thoughtful work by show co-creators Christopher Cantwell and Christopher C. Rogers and their creative team. Because the show and its characters were allowed to evolve in a natural and believable way, it stopped being solely about demon-haunted, loose-cannon Joe MacMillan and eventually became a broader and much more satisfying ensemble piece about technology, work, friendship, love, and more. This benefited Joe’s character and allowed Pace the opportunity to really make Joe into a believably vulnerable, complex, and three-dimensional person. It also heralded the slow, subtle shift of the entire story from being an okay story about the men… to being a superb story about the women and their struggle. And for me, that’s the best part. 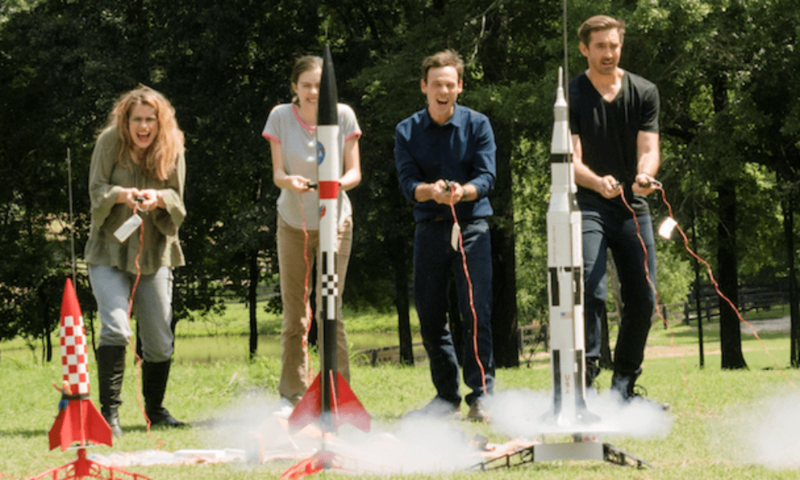 As early as season two, Halt and Catch Fire subtly but surely metamorphosed from being about Joe and Gordon and their efforts to make a difference in the tech world, to being about Donna and Cameron and their much more satisfying struggles and successes instead. It was Cameron and Donna whose relationship—and talents—would form the lynchpin for most of the central storyline. Early on in the show, Joe comments that, “Computers aren’t the thing. They’re the thing that gets us to the thing.” Not only was he foreshadowing the vision of a wired (and wireless, mobile) future, he was also talking about the show itself. Because while Joe and Gordon would always remain important characters from a big picture perspective, as it turned out, the male characters weren’t the central point after all. They were just what got us to the women and their stories. A brilliant artist and coder, Cameron is young enough that spray paint is a viable decorating tool, lipstick is for scrawling on mirrors, and chips and soda are still major food groups. Cameron starts off Halt and Catch Fire as a blunt, brilliant computer hacker whose love for punk rock isn’t just a musical preference, but a lifestyle choice. She’s strong, aggressive, sexually free-spirited, and deliberately androgynous. She’s young enough that spray paint is a viable decorating tool, lipstick is for scrawling on mirrors, and chips and soda are still major food groups. She’s also naïve enough to believe that by dreaming big enough, and working hard enough, anything is possible. As an inveterate TV and gaming watcher, I tend to be a die-hard shipper. Put two adult characters in a room together, give them a moment of understanding or communion, and I’m probably going to ship them romantically. I’m practically pathological that way. Yet what I loved about this show was the very fact that I wasn’t shipping people romantically, but professionally. I didn’t want Cam and Donna to get married (although that would have been a terrific if unexpected plot zigzag), I wanted them to work together. Just like I wanted Gordon and Joe to work together (McNairy, often the quietly reactive character in the scene, does a beautiful job of navigating Gordon’s evolution across the story). The show simply understood in this beautiful way that some people just make other people better. Cam is the live wire in Halt and Catch Fire, the wild variable who changes every room she enters. With Joe, she’s the creative force and casual bedmate that perfectly fits into their “work-as-life” routine early on. With Gordon, Cam begins their relationship as the annoying co-worker but ends as his die-hard gamer buddy whose friendship is so fundamental that the two become family. With the sweet and easygoing elder statesman Boz (Toby Huss), Cam finds the father she always wanted, while he gets the child of his heart (so much so that a scene in Season 4, in which Boz calls on Cam to stand by him at an impromptu surprise event, caused a happy ugly-cry session on my part). But most important of any of Cam’s relationships on the show (even beyond her constantly shifting and vital connection to Joe) is her relationship with Donna. At first, she just seems to enter the scene in Season 1 of the show as Gordon’s quiet and perhaps long-suffering wife. Yet even here, the show pays careful attention to Donna’s struggle and inner life, and it’s quickly obvious that she is every bit as brilliant an engineer as Gordon—perhaps more so. Donna may have set aside her dreams to be a working wife and mother, but with the arrival of Joe, Cam, and Gordon’s plans to build the Giant (their pie-in-the-sky IBM clone), Donna wakes up again and realizes there may still be a chance for her to dream a few dreams of her own. The two may seem to have little in common at first. Donna’s prim, contained wife and mother, complete with hair flip and country-club pastel wardrobe, is by all appearances miles away from Cam’s angry, slovenly hacker, rebel and gamer, but the two women quickly bond to one another even in season one, recognizing each as a kindred spirit. Donna’s calmness centers and supports Cam, while Cam’s courage and energy galvanize Donna and spark her own long-dormant technological brilliance. The music surrounding the two (which is brilliant across the entire show) both emphasizes their differences while highlighting their struggles. 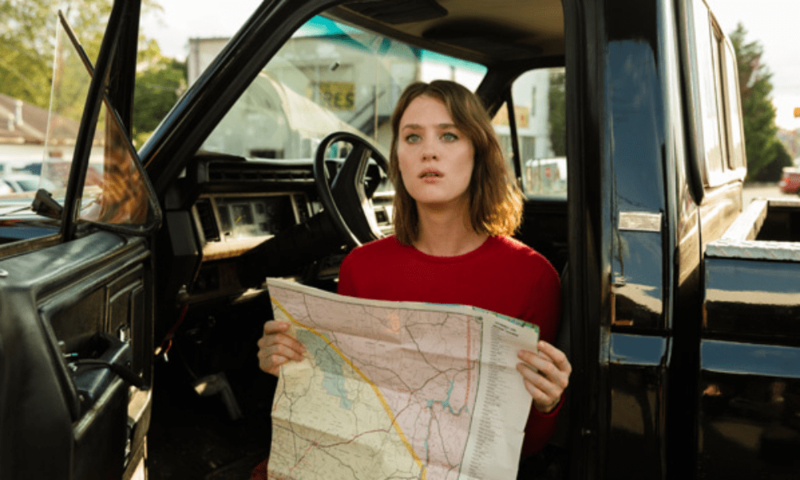 Donna may groove to sweet period pop like Pat Benetar’s “We Belong” or Peter Gabriel’s haunting “Mercy Street,” even as Cam dances and codes euphorically to Bad Brains, Spex, The Breeders, The Pixies, and Bikini Kill. But, as the years pass, the lines blur, so that Donna may exhibit a little of her own darker side to fare like Hole’s “Doll Parts.” Meanwhile, the Cam of Season 4 is much softer around the edges, even as Donna has grown unexpectedly flintier. Donna and Cam eventually create their own company together, called (appropriately) Mutiny, while exploring the technological infancies of everything from online communities and auction sites to online chat, gaming, and more. While the work dynamic in the beginning is that Donna’s the manager (or “Mom”) and Cam’s the creative genius, it becomes quietly yet increasingly apparent that Donna, too, is more capable an artist and creator than she herself is aware of being. She too carries the ability to be a visionary in the field. Scenes like these manage to be painful and accurate, yet never feel staged. As a woman in tech who was the very young editor of a computer magazine in the mid-1990’s, I can attest that they’re pretty representational of the time and place. And, well, as many women in today’s #MeToo world can attest… they’re still all too painful and relevant. The show not only featured a gender-balanced cast found almost nowhere else across the network TV landscape, it was putting its money where its mouth was behind the camera as well. By season 2 of Halt and Catch Fire, Donna and Cam were front and center in the show’s main storyline, right alongside Joe and Gordon (and, in fact, arguably slightly to the forefront). It may have been originally positioned as another “Mad Men,” but it was the women who galvanized the story. The show not only featured a gender-balanced cast found almost nowhere else across the network TV landscape, it was putting its money where its mouth was behind the camera as well. The show featured the work of such acclaimed independent female directors as Karyn Kusama (Girlfight, Aeon Flux, The Man in the High Castle), who directed four episodes including the show’s gorgeous season four finale episode and Daisy von Scherler Mayer (Party Girl, House of Lies), who also directed four episodes, including the visually beautiful “Valley of the Heart’s Delight.” Other female directors on the show included Larysa Kondracki, Kimberly Peirce, Reed Morano, Tricia Brock, So Yong Kim, Meera Menon, and Stacie Passion. The series also featured the work of several talented female writers, led by executive story editor Jamie Pachino, along with Lisa Albert, Alison Tatlock, Angelina Burnett, Julia Cho, and more. By the fourth season of Halt and Catch Fire, the women actually outnumbered the men. Donna and Cam led the way as its protagonists, along with key female supporting players including Diane (Annabeth Gish), Katie (a wonderful Anna Chlumsky), Aleksa (Sara Wheeler), Tanya (Sasha Morfaw), and Gordon’s daughters Haley (Susanna Skaggs) and Joanie (Kathryn Newton). While characters like Joe, Gordon, and Boz remained vital and important characters, it was nevertheless a little exhilarating to see so many female characters effortlessly and believably taking part in a story on the early days of tech. Taken as a whole, Halt is a deeply feminist show in a way that feels both organic and unforced. But side by side with the show’s commitment to gender equality and respect is its equally quiet attention to acceptance and inclusivity. While the show could absolutely have used more characters of color, characters like Manish Dayal’s true-believer programmer Ryan or confident goofball programmer Yo-Yo (Cooper Andrews) were welcome participants in Seasons 2 and 3, as was Sasha Morfaw’s Tanya, a smart and ambitious woman in Donna’s office who rises from receptionist to executive while sparring with Boz, in Season 4. But where the show truly excelled was in its gender and sexual diversity. Both Cameron and Gordon’s daughter Haley openly blur gender lines in their hair and dress at varying points as part of their own self-expression. Joe MacMillan, meanwhile, is revealed early in Season 1 to be openly bisexual, a fact that is accepted both by Cameron, his on-again, off-again lover, as well as by his friend and business partner Gordon (there’s a nice little moment in Season 4 when Gordon tells Joe he could have invited his boyfriend along to their camping trip, and Joe admits that they broke up recently). Season 3 directly explores Joe’s fear and tension as he deals with the potential that he may be sick at the height of the AIDS crisis in San Francisco, and it never shies away from the fact that Joe definitely regards himself as part of the LGBTQIA community. Joe’s bisexuality, which may have seemed gimmicky in Season one, ends up being a core and vital part of his characterization—it’s a wonderful and creative way to further emphasize that Joe, after all, tends to be all things to all people (it’s another way Pace shines in the role, as he actually seems to be one of those rare actors who can turn his charisma on or off at will). Joe’s sexual fluidity is a terrific and subtle character note, and it’s also that much more welcome since bisexual leading men are certainly a rarity on network TV even today. Joe’s experiences also add a nuanced and surprisingly sweet component to his friendship with Gordon’s teenage daughter Haley in Season 4. As it becomes clear that Haley is struggling with her growing realization that she’s gay (and is both nervous to act on it and scared to come out to her family), Joe provides an unexpected source of easy compassion and support. Continuing the show’s commitment to its female characters, Haley is a budding tech genius in her own right, whose early search engine “Haley’s Comet” becomes a fledgling company of its own in season 4, providing much of the fun and creative impetus for Joe and Gordon’s new business endeavor (even as they race against the clock—and against Donna’s more polished, highly funded competitor). When Joe befriends Haley, he not only provides her with the quiet support she needs from someone who understands what she’s going through, he also continues to grow and mature himself. He quickly realizes that while he may not have wanted kids before, he can now identify his own desire to be a father and mentor himself—a pretty huge journey for the arrogant guy in the sportscar who blasted into the pilot episode. For me, this makes Joe’s final moments in Season 4 that much more bittersweet and rewarding. Although for sheer loveliness, my favorite moment for him across any of Halt and Catch Fire‘s superb forty episodes will probably always be the one where he sits at a fast food restaurant with Haley and sees her gaze adoringly at the pretty friend who works at the counter. All it takes is one look and Joe understands everything Haley’s been struggling with. As she blushes and tries not to be too obvious about her crush, Joe’s entire expression is one of subtle, tender illumination. “She seems cool,” he comments quietly, and Pace’s sweet and encouraging smile to Haley there says volumes. Donna’s calmness centers and supports Cam, while Cam’s courage and energy galvanize Donna and spark her own long-dormant technological brilliance. 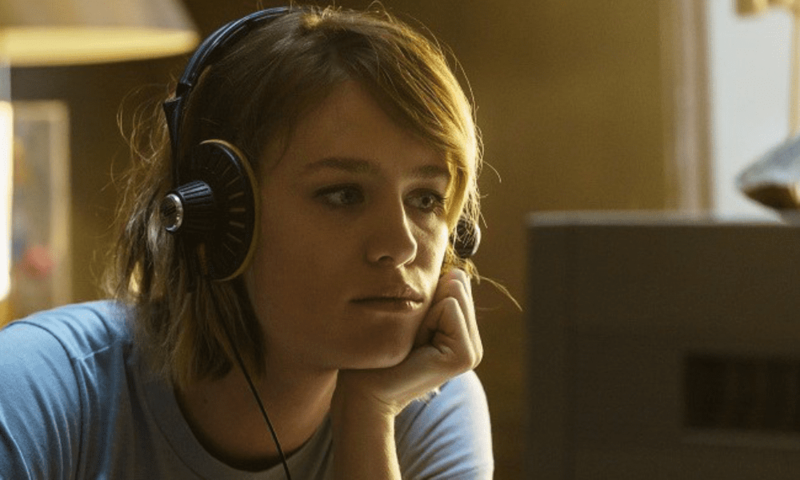 As the seasons went on, what ultimately got me about Halt and Catch Fire was the show’s visible compassion for its characters. There’s a palpable understanding that people change, but that change isn’t always easy. Every single one of the central characters of Halt and Catch Fire—from Cam and Donna, to Joe, Gordon or easygoing Boz—will have at least a few moments of weakness, cowardice, cruelty, or toxicity. They’ll fall in and out of friendship, and in and out of love. But those connections will remain, as well the lessons learned. One of my favorite things about Halt and Catch Fire is the way the show delights in exploring the creative process. The fact that it’s about the dawn of the computer age forty to thirty years ago allows the show to explore everything from tech like BIOSes and interfaces and coding, to online communities, search engines, computer games (even, subtly, RPG and MMORPGs), and more. But while it seems to be about technology (and it certainly is a delight in that respect for those of us who have ever taken part in the tech community), Halt is really about more subtle things. It’s about life and love, about art and the creative spark, about the search for connection. Most of all, I think, it’s about the courage it takes to have an idea and then act on it. Halt and Catch Fire began with a rather on-the-nose moment of symbolism as Joe mowed down a doomed armadillo in his fancy car, then sped off from the carnage. The Joe we watch in the show’s final episode is light-years away, as he’s ironically almost mowed down himself by a ghost of business past, a former work acquaintance who functions almost like an inverse Jacob Marley. Yet, instead of a potentially uncomfortable scene filled with one-upmanship or judgment, their discussion is a quiet and satisfying look at how much people can change. Both men have evolved into better, kinder people who no longer view competition as life’s ultimate thrill. The final episode caps off a believable journey for Joe as a character who once prized his lack of connection. Throughout Halt, Joe has severed ties constantly with friends, possessions, and loved ones, yet in the end he is someone who now values the tangible keepsakes from his journey and the connections he’s made. The finale shows us a much kinder, more uncertain Joe facing a roomful of people, just as he did at the beginning of episode one, and asking them a question. Perhaps the most poignant and satisfying aspect of the moment here is that, finally, this Joe doesn’t seem like someone who already knows the answer. Ultimately, Halt and Catch Fire simply understood in this beautiful way that some people just make other people better. But the heart of the show, for me and for so many viewers, is the relationship between Donna and Cameron, whether estranged or together. It was painful to watch the two women battle so much together across the years and seasons, to have each other’s backs, to be the yin to the other’s yang, then to occasionally lose that connection and mutual support too. And Davis and Bishé are simply terrific at showing us these women in all their strength and vulnerability, in joy and sadness, at their best moments and their worst. The final season manages to explore those complexities in a realistic and artful manner while also subtly paving the way for the deeply satisfying show finale. Heightening that sense of inexorable connection and understanding between the two women, even when they’re working on separate endeavors. There’s an oddly delicate storyline in season four involving an ethereal, rather Myst-like game called “Pilgrim” created by Cameron. The product of years of her creative and development work as the follow-up to her earlier hit game, Cam’s new game is mostly regarded by others as a puzzling failure. However, Donna gets a copy and we get to watch her gradually fall in love with the game and its dreamlike atmosphere, which involves a mysterious search by a quiet blue alien protagonist. Enraptured by the game and its journey, Donna solves it, and unexpectedly finds herself near tears. It’s a wonderful moment, and another example of the show’s understanding of how deeply emotional gaming can be. Just as Cam and Gordon bonded as friends for life after a single, madcap day when they played Super Mario Bros. and (screaming with joy) beat the entire game, the show’s beautiful glimpses of “Pilgrim” and Donna’s emotional responses illustrate how immersive a game can be. It’s also more, of course—a meeting of minds and hearts; Donna understands Cam’s game because she understands Cam, and the resolution of this single, minor, and quiet storyline is unexpectedly moving, and leads directly to a later scene in which the two women salute what the other has accomplished and imagine what their next project together might look like. Ending to high critical acclaim in the Fall of 2017, Halt and Catch Fire was a rare show—one that understood that failure can be brave, that technology can be community; that gaming can be companionship and catharsis; that friendship can be as deep and life-changing as any marriage. Most of all, it understood that whether it lives or dies, succeeds or fails, nothing is ever quite so wonderful as the sudden, intoxicating spark of epiphany. Just four words… but oh, they can change the world. All four seasons of Halt and Catch Fire are currently available for streaming on Netflix now. Angela is a fantasy writer and gamer who loves great fiction in any form. 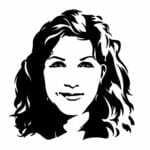 She is the author of The Bridge, Falada, Dancing Days, and The Betrayals of Women, available for Kindle from Westmarch Publishing on Amazon.com, and she also discusses and analyzes the Dragon Age universe in her blog at "Dumped, Drunk and Dalish." Stop by for some Maraas-Lok!